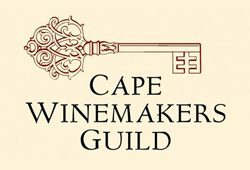 This year’s Cape Winemakers Guild shows off a profound Cinsaut, an elegant Tinta Barocca, a remarkable Roussanne and a deft Demi-Sec Chenin, as well as two cheeky ‘off-cut’ blends. The eclectic mix includes the annual, solid offerings produced by the old guard that have built the Auction’s success. The tasting of 60 wines made me wonder what the senior members think of the nonchalant, and sometimes comical approach, that seems to have creeped into what was once a stern affair. The swath of new and relatively young members is shaking up the scene, allowing the new peer review system to be more encouraging of experimental, new-wave wines. The Guild is better for it and the 2017 basket is filled with wines for every palate, with quality at an all-time high. What has changed? Alcohols seem lower, whether picked earlier or removed, there’s a palpable movement to more elegant wines. Less new oak, or at least better oak integration, more interesting cultivars and less obviously sweet and super-ripe wines. Tannin management in the reds has improved dramatically over the last decade; likely a combination of less virus in the vineyards, better farming and better winemaking. Not only are there 2 varietal Cinsauts, but Cinsaut plays an important role in 4 of the blends on Auction. Ernie Els and Kaapzicht specifically, have blended the forgotten workhorse with their finest Cabernet to shadow the successful Cape Reds of the past; before Merlot and Pinotage took over in the 1980s. Cinsaut is back and it’s being taken more seriously than ever. Andrea Mullineux’s version from 80-yearpold Franschhoek vines is a game-changer with huge intensity, perfect structure and fine poise. Tread carefully with the 2014 reds, admitted by a number of the members as a highly challenging vintage. As can be expected, most have handled the wet vintage well, producing softer wines that will reward earlier drinking. The full-bodied 2015 reds are difficult to taste at this stage. There is real consensus that this is the greatest vintage in modern times and the early release 2015s are extremely impressive. The huge tannins are coated by masses of fruit and balanced by a fresh acidity. Buy, buy, buy! Broadly, 2016 was another difficult vintage and the Cape Whites seem to lack mid-palate and depth, while the reds are light and elegant. There are a handful of gems however, with Ataraxia shining through once again with striking purity and class. 2016 was certainly no slouch in the Hemel-en-Aarde as we have already seen with the early releases. The CWG prices have tripled over the last 10 years and few wines will clock-in under the R1,000 mark, pushing them off the charts for most consumers. 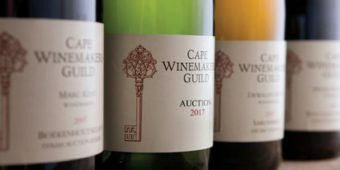 Many of the wines continue to be ‘souped-up’ versions of classic Cape wines available at half or a third of the price, often not for the better. Others offer a real unique opportunity to capture small cuvées from the best winemakers in South Africa. 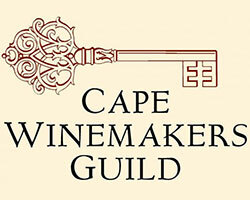 Either way, the CWG is finally mirroring the South African fine wine revolution! Wine Cellar will proxy bid on your behalf in cases of 6! Please download the request form below and send your it to roland@winecellar.co.za. Please make sure you have read our terms and conditions. Download the bid request form. Auction prices are listed per 6 x 750ml or 3 x 1500ml cases, exclusive of VAT. Please send us your maximum bidding price per 6-bottle lot (exclusive of VAT and 5% proxy bidding fee). Requests must be based on a minimum of 6-bottle cases (or equivalent). Requests are not guaranteed and depend on the consolidated interest of our bidding list. We will endeavour to purchase your request on the lowest possible bid of course. If a request is purchased within your maximum bid then you are obligated to pay for it! Often a standout wine, the 2016 is one of Kevin’s finest and most intriguing. Very classy, pure and tightly wound. It shows notes of white pear, nuts, limes and minerals over a slight reduction and firm acid backbone. Racy, deep and complex, it finally ends with a strikingly pure and long tail. Powerfully structured now, it will take a few years to open up. Chapeau! The nose offers hints of wet earth, mushrooms and spice. This wine is all about balance however, with sweet and elegant yellow fruits clothing a cracking acidity and savoury finish. Super tight and pure, it will age well for decade or more. Classic Stellenbosch Cabernet Sauvignon from this tremendous vintage. Remarkably elegant, showing the best kind of leafy notes and refined, juicy fruit. Lovely acidity and fine tannins for the long haul. Dense, poised, brooding, savoury and remarkably rich, this has to be one of the finest Cinsauts ever produced. Notes of dried herbs, a touch of smoke and liquorice hover over massively pure fruit. Sensational depth, with fine tannins and a classy finish. This profound Cinsaut should age forever. Black fruits, cassis and florals show a more broad-shouldered Pinot from Newton Johnson. Deep, sumptuous and exotic, there is once again beautiful purity and dense fruit, showing a riper, more generous side. Delicious. Showing even better this year. A beautifully pure, floral and hauntingly beautiful Pinot with fine texture and amazing depth. Long, mineral fruit expression on the finish. The very good 2013 vintage shines through in a sublimely balanced and refined offering. Powerful fruit, a touch of earth and lead pencil leads to an elegantly powerful, focused finish. Towering yet, supple and classy. A cracking effort, showing a fine balance of salty austerity and deep tropical fruit. Pure, richly textured with a long mineral finish. Dramatic but elegant. A really classy, new direction for Ernie Els. The dollop of Cinsaut adds a perfumed nuance and elegance. Lovely balance of super-fine, dry tannins and pure, sweet fruit. Special. More on the traditional side, this is a killer Cabernet Sauvignon from 2015. Tobacco, iron-like, cassis and earth nuances with powerfully rich fruit covering suave, plush tannins. Tempting now, this will age for decades. An interesting and striking take on Chenin with 36 months elevage in barrel. The nose is earthy and savoury with time revealing purity and poise. Hugely rich palate, textured and complex. Is this the best Pinot ever from Paul Cluver? Beautifully deep, finely tuned balance of red fruits and Burgundian-like savoury notes. Really fine, brooding and delicious with the structure to age. A regal bubbles with beautifully refined, savoury notes balanced by crisp fruit and structured palate. Fine, creamy and pure, it is rather youthful still, showing lots of opportunity for ageing. Of the more classical ilk, it offers notes of pencil shavings, wet earth, black fruits and cigar box. Like Bordeaux but with more obvious fruit. Long, elegant and extremely good for the vintage, it has the structure of long ageing.